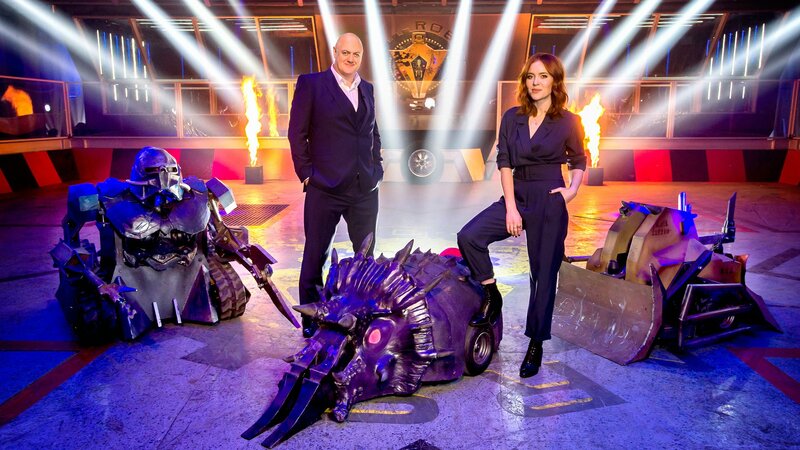 ROBOT WARS IS BACK! Join hosts Dara O Briain and Angela Scanlon at the live recordings of this legendary BBC show. Taking place in the purpose-built fighting arena in Glasgow, get up close to the action as teams of roboteers from across the world battle it out to win the coveted Robot Wars title. More brilliant robots, amazing battles and of course those awesome House Robots! Each session lasts approximately 3-4 hours. Parking available on site for ticket-holders (admittance on-site no earlier than 90 minutes before the doors open). Food and drink are available to purchase on site. Due to the nature of the event, the working environment and the long recording days we don’t recommend bringing young children to sit in the audience. However Robot Wars is a family show and we do welcome children accompanied by a responsible adult. Please be aware that the event will be loud, there will be use of smoke, sparks and flashing lights so the responsible adults must be confident that their children will not be distressed in this environment. If a member of production is concerned about any member of the audience they may be asked to leave the audience seating area. Children under the age of 4 will not be admitted. Children under 16 must be accompanied by at least one adult in the party. This show is not currently recording, but please register your interest for future shows by logging into your account and using the form below. We'll then be in touch when we have any news. If you aren't registered with us, please register first and then log into your account to add yourself to the waiting list.